An effective content marketing strategy is critical to your business’s success. For this reason, you won’t get far without having an online presence. And in order to establish that, you need to have an SEO checklist to develop a sound campaign. All the content you create should be geared towards your SEO campaign. This includes your social media posts, blog articles, and third-party content. Everything should tie neatly together, aiming towards a common goal. But in order to achieve this, you need to have a set of guidelines. This way, you can avoid common SEO mistakes people make when they first start out. If you want to ensure you’re on the right track, then keep the following SEO checklist in mind. The optimization of your website goes beyond what you see on the pages. What’s behind closed doors plays an equally big role. For example, the load speed of your pages. If your pages are taking longer than two seconds to load, then you’re likely driving away a large portion of your audience. So your bounce rates will soar because of this. Then there’s the mobile-friendliness of your website. If your pages aren’t assessable by mobile devices, then your page rank will suffer. Google and other search engines are committed to making their search results mobile-friendly. You can make your pages load faster by reducing the amount of graphics, videos, and other bandwidth eaters. And as for the mobile-friendliness, create a web design that’s responsive. This means it can easily switch from desktop to mobile based on the device being used. Your site is nothing without visitors. And people won’t want to stick around on your site if it’s not user-friendly. In other words, it should be assessable on any device, use language that’s easy to read and have a design that’s simple to navigate. The easier it is for your visitors to browse your website, the more likely they will look around. You also have to ensure the contents of the site is what they’re looking for. It doesn’t matter how great of a design you have, if it doesn’t offer what the user wants, then they’ll bounce away quickly. Keep an eye on your CTR (click-through rate). 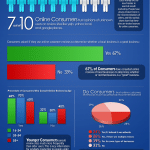 This will tell you how deep visitors are going when they visit your site. Are they bouncing away on the first page or after viewing 6 or 7 pages? The higher your CTR, the better. One way to boost your CTR is to offer more pages/content that your visitors are attracted to. See which posts and pages they gravitate to and try to offer more of it. You can also promote migration through the site by placing inbound links throughout your pages and blog posts. It’s not enough to write short pieces of content. This is nothing more than fluff. Users are looking for content that’s in-depth, informative and valuable. Each post you write for your site should meet these factors to ensure your users are getting the most from your site. Google sees how long people spend on your site, which demonstrates the quality of your site. This is why longer posts tend to fare better in search engine results than shorter pieces. The longer the post, the more information you can provide. And the more information it has, the higher the value. It’s important to take your keyword selection very seriously because it’s what will make your content easier to find. The idea is to research keywords using one of Google’s tools, to see what keywords in your industry are popular. Once you’ve selected a group of primary and secondary keywords, you have to make sure they’re being placed throughout the article sufficiently. But don’t overdo it. Keyword stuffing is one of the big mistakes many bloggers and website owners make. Google doesn’t have a golden rule for keyword density, so it’s up to you to experiment a little. 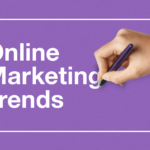 If you’re not sure, you can always work together with an internet marketing professional. As a rule of thumb, keywords should be placed in the title, beginning, middle and end of your content. The length of your articles and pages will determine how many are needed throughout the article. Your URL is another key area of the SEO checklist. It’s very important for you to select a URL that is easy to read and remember. Then there’s the prefix of your URL – the www. Now, there is a difference between having a www in the front and having nothing. For one, you’re not able to have a CNAME record, which is needed to redirect traffic when there’s a failover. If you think having a non-www URL is better for memory and convenience, you can simply go into your Google settings and have your URL displayed without the www. This way, you get the best of both worlds. This is one of the best items on this SEO checklist because it streamlines your optimization efforts. 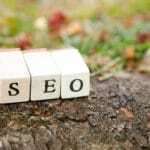 If you’re using a content management system, such as WordPress, you can install SEO plugins. For example, you can go with Yoast SEO or All-in-One SEO Pack. These will help point out areas of your content that need to be beefed up to meet current SEO standards. Of course, having a plugin couldn’t replace the ever-growing knowledge of an SEO expert. But meanwhile, you can use these tools to ensure the content you post is SEO-friendly. Times change, and with it so does Google’s algorithms. So you can’t expect what worked last year to still work this year. It’s important to continue testing your content and keep a close eye on the analytics to ensure your pages are performing optimally. 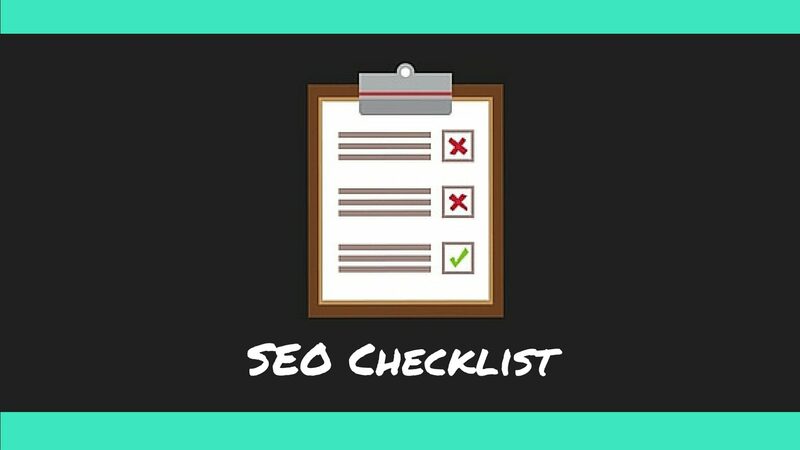 You can use this SEO checklist to get you started. But don’t hesitate to contact professionals for assistance.